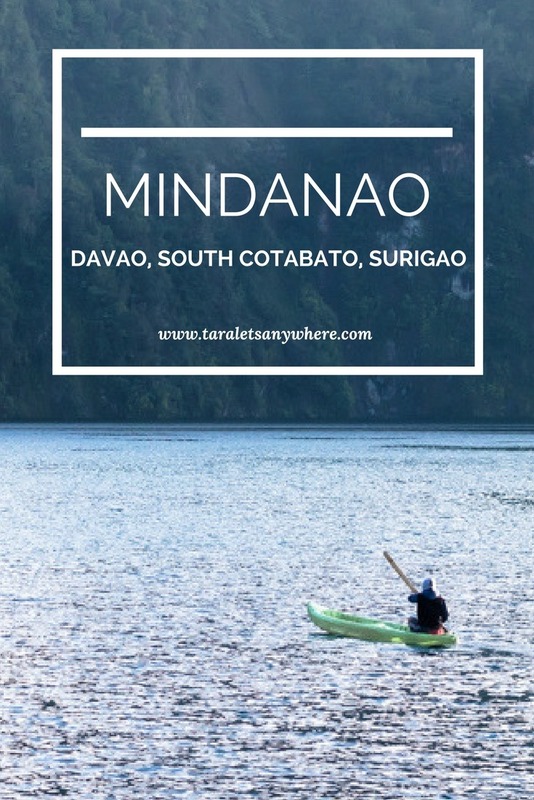 This July, I ventured with a good friend to Davao, South Cotabato and Surigao del Sur for 5 days and experienced the local culture of a remote lake community as well as numerous water activities. Months back, Kharl, whom I met from an outreach event years back, invited me to climb Mount Apo in Davao. This was before the recent forest fire made it unavailable to trekkers for years to come. Kharl looked for other alternatives. One was Mount Tolomo, but eventually it was closed down as well because of what happened to Mount Apo. Instead, we changed our itinerary and Kharl, whose home province is in Davao, acted as our tour guide. We went to Samal Island in Davao on the first day. Here we visited Hagimit Falls. It’s reminiscent of the falls in Rizal Province that Kat and I visited last summer. It has tiers of waterfalls, and a few walks to the the top there’s a swimmable area and a cliff jumping site we did not waste time trying. After Hagimit, we decided to go to Maxima Resort, which offers quite a few attractions, such as a tall water slide. We arrived here at almost 5PM; water slide use is only up to 5PM. We enjoyed jumping at Hagimit falls that we forgot what time it was. 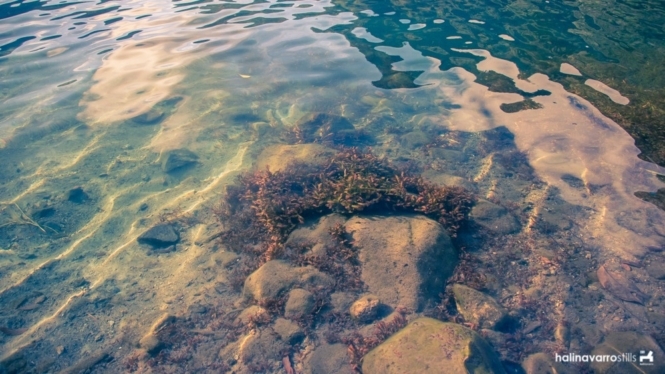 The water in the resort is clear and it is easy to spot wandering small fishes and see the corals under the water from a distance. I even saw a crab on one of the poles in the water. We stayed at Maxima for an hour. Here I saw one of the lifeguard’s diving that awed me as he jumped from the board. There was this slow-motion curve that he did before plunging into the water. One that I hope I can do someday. That same night we waited for the van that would take us to T’boli in South Cotabato to camp in Lake Holon. We arrived early at the town proper and registered at the tourism office. 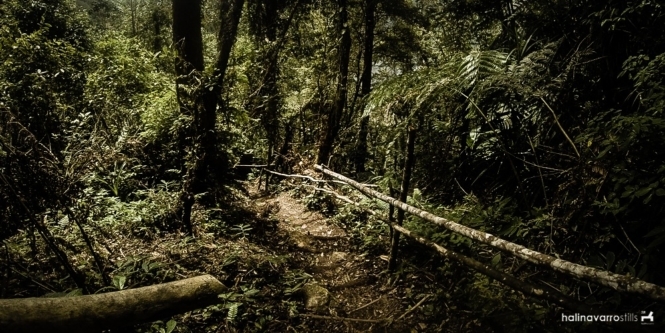 T’boli have rough, steep roads. We rode motorcycles that can fit two passengers, along with our bags. The motorcyclists are so experienced in dangerous trails that they can rival those in extreme sports. I was a bit relieved that it wasn’t muddy or rainy when we rode the habal-habal to the briefing site, before the trek to Lake Holon. 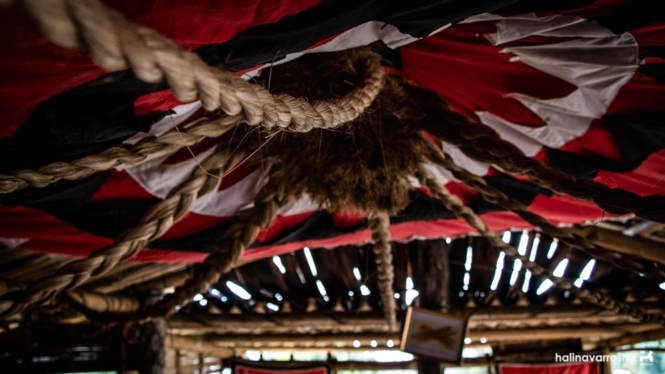 The hut in the briefing site displays some of T’boli ‘s tools such as gongs. Life is simple in the T’boli community, it takes you back in time. No cemented roads, a lot of horses, and houses made with bamboo and wood. A woman named Mylene oriented us about Lake Holon. She explained how Lake Holon is also called Lake Maughan by the locals, a water-filled crater resembling that of Mount Pinatubo’s crater lake. Lake Holon is the surrounding lake of Mount Parker, which is locally known as Mount Melibengoy. The two names Parker and Holon are named after the Americans that claim to have discovered the mountain in 1934. Tribal designs in the orientation site. 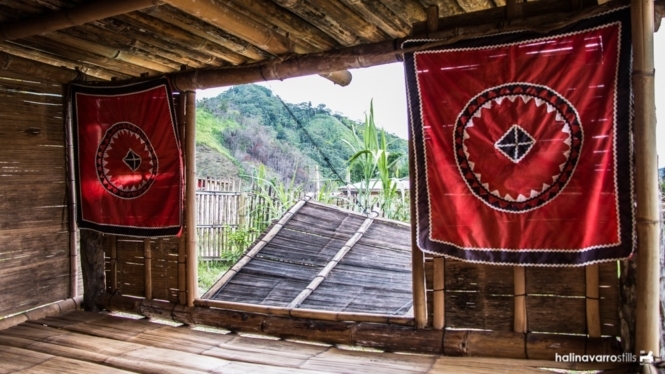 Ceiling ornament with T’boli cloth. We prayed for a safe trek and off we went. There are two starting points to reach Lake Holon: one in Sitio Kule and one in Salacafe. 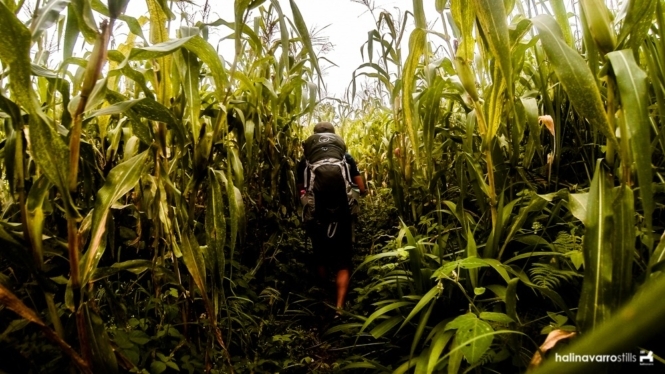 We started at Sitio Kule, where we saw fields of corn and tall grasses. Kule trail to T’boli community in South Cotabato. It’s a good 2- to 3-hour trek from the jump off and ideal for intermediate trekkers. There are lots of trees, though some patches in the mountain are noticeable where kaingin might have been practiced, an activity where poachers cut down the trees and burn the area. We also saw a hot spring although it’s not recommended for dipping, as it have sulfuric content. Despite the boiling bubbles, the hot spring is actually not too hot. Downward stairs to Lake Holon. We reached the view deck, and there a dog was waiting for us. There was immediate relief to see the lake from our vantage point. The surrounding mountains enveloping the lake were all visible. 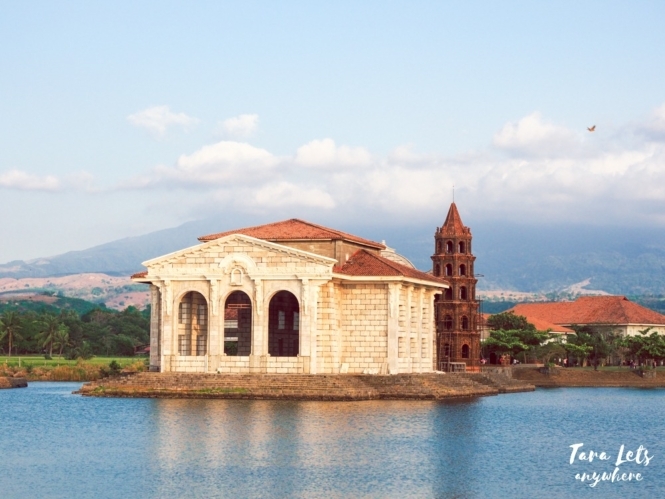 It is reminiscent of the view of Mount Pinatubo. The difference is that, in Mount Pinatubo, the water has a greenish hue due to sulfur, whereas, in Lake Holon, the water is a clear blue and ideal for swimming. The dog was friendly and walked with us side by side, even stopping whenever we had to take a rest and up until we reach the place where we’d have to ride a boat to the camping area in Lake Holon. A pack of dogs can be seen prowling in Lake Holon. At the view deck of Lake Holon. We were the only ones that day that visited Lake Holon. We had the place to ourselves, from the trail to the lake view. We were told by our guides that weekends are different — a maximum of 200 people are allowed to go to the lake for a day. The use of life vest and kayak is free on the campsite. There’s also a diving area. The water is clear from a distance and we even noticed that the people guarding the area didn’t have to swim far to catch fishes. Some just waited at the shore. Surprisingly, the dog from earlier was there with us to camp. It must’ve taken a shortcut that didn’t require a boat ride. Among him is a pack of 10 or more dogs. They were all friendly, playful dogs. They looked at us as if expecting treats with their puppy dog eyes. It must take 2 hours or more from our camping area to reach the other end of the lake. I tried and only reached as far as the middle of the lake. The current is a bit different in the middle, and I was circled around when paddling. Clear shore of Lake Holon. We camped for the night. As early as 7PM, astonishingly the Milky Way was already visible in the sky. This is the first time I’d seen it clearly during that hour. I’d always thought that it can only be seen after midnight. I guess the distance of Lake Holon from cities or the simplicity of life helps the place be clean and clear of pollution, to see such an early sighting of this galaxy. Milky way at 7PM in the evening. The next morning, I took a dip at the diving area. The water was cold. I can’t resist jumping to the water where there’s diving involved. 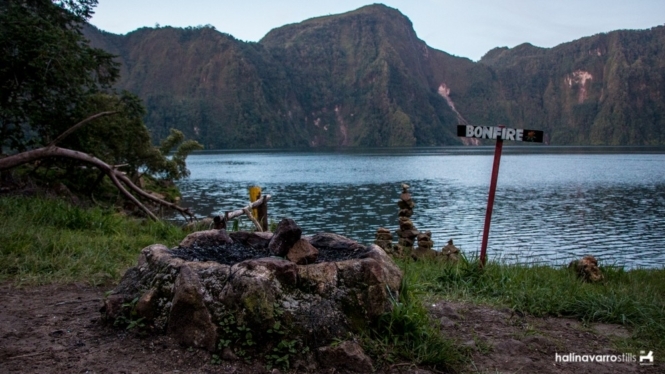 Bonfire site in Lake Holon. We ate our breakfast, and then prepared to leave the place. We took a different route, the Salacafe trail, in going back. The pack of dogs joined us in our trek back to the orientation site. It was nice but also a big of a drag because the pack fell in line with us in the single trail. 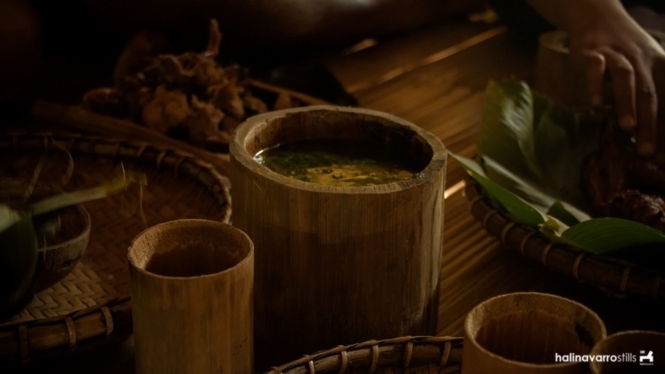 Along the way to the orientation site is a T’boli community that sells bamboo mugs for P25. The mugs are a nice souvenir to take home. 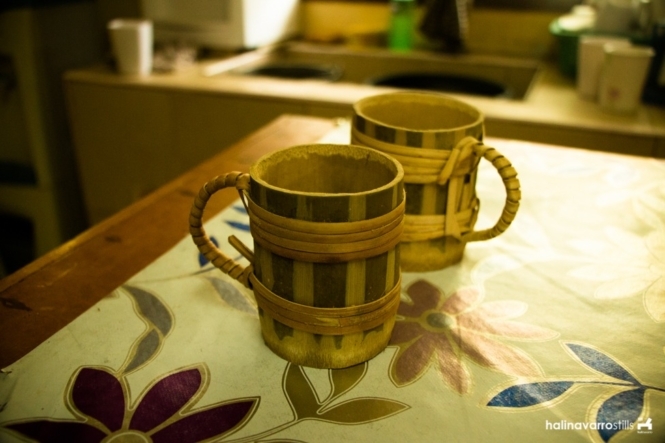 These bamboo cups are nice souvenirs from the T’boli community. P.S. 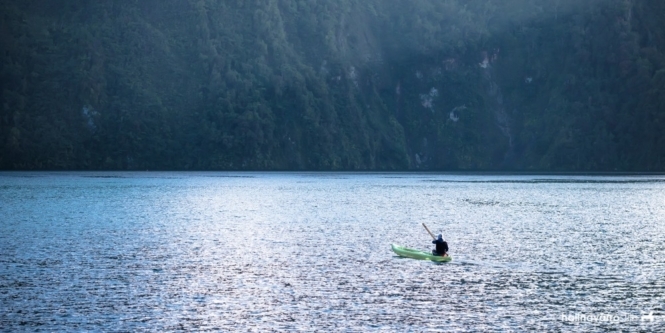 Here’s a guide to visiting Lake Holon. Lake Holon is one of the few crater lakes in the Philippines. Another good one to visit is Taal Volcano in Tagaytay. We took a good rest on our stopover and waited for habal-habals to take us to the Bakngeb Cave River. It’s another 30- to 40-minute ride from where we were resting in Salacafe. The road to Bakngeb is much friendlier than the rough, steep road to Kule. Arriving, we already saw life vests and a group of people climbing inside the cave and then riding a raft. There was a strong current such that a group of people must push the raft toward the rushing water. A rope was prepared so people could go further inside the cave, though in the end the water current proved powerful. We tried to reach the end of the cave by stepping on large logs, but we failed. It was impassible to pass through the strong currents. Instead, we stayed near the mouth of the cave where there’s a cliff diving spot. All of us wore mandated life vests. The climb to the jumping area is a challenge as it is slippery; Kharl slipped the first time and fell to the water. He had some bruises from the slip. Similarly, jumping held me deep in the water for a while because of the current. Always be careful if you want to do something extreme. During lunch, we were treated with food served in bamboo utensils. Everything, even the pitcher, was made and cut from bamboo. The plates were made up of coconut shell, and the rice was enveloped in banana leaf. We ate our hearts out in the hut. We were taken back in time of traditional food preparation. The native chicken is a bit different here, as it has tougher meat. It is more difficult to chew and chop, different from the chicken meat I’m used to. Utensils and plateware are made from bamboo. After living the simple life in T’boli, we left South Cotabato. That same day Kharl and I decided to go to Surigao del Sur. We spent hours in Hinatuan River, diving, swimming and watching the fish feeding during lunch, when swimmers are asked to step aside as the feeding fishes galloped and jumped in the water. The Hinatuan Hymn was played during fish feeding. 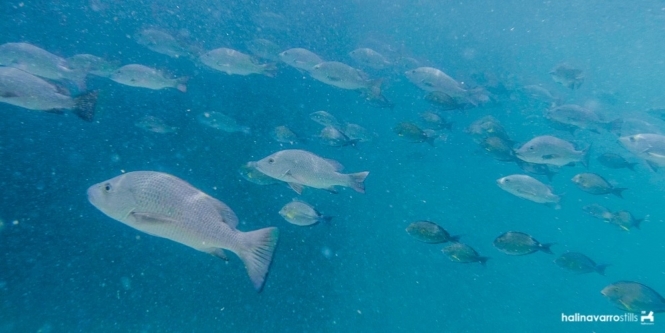 Perhaps it’s a form of conditioning for the fishes to surface in the water. 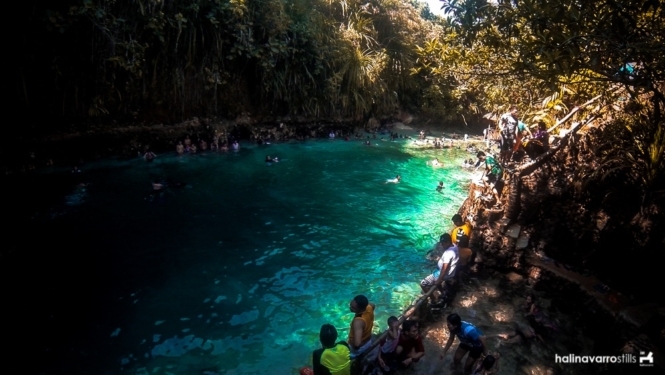 Hinatuan River is also known as Enchanted River. The fishes in Hinatuan River don’t avoid humans and it’s easy to take selfies with them. Small and large fishes are abound in the river. The river is deep, and the center is a dark blue. No details are visible in the dark middle of the river. For the same reason, it is also called the Enchanted River, since no man has ever reached its depths. Update as of 2017: This portion of Hinatuan River is now closed to public for environmental preservation purposes. Overall, this was a short trip. Three places have been covered, though a lot more can be seen in each province. Overall it’s a fun stay. We ended up jumping a lot on the water. Time was well spent and not restricted to a schedule, this is something I enjoy when not on a packaged tour. I appreciated taxis in Davao. Even from the airport, the taxis maintain a flat rate of P40 and the drivers even give back the exact change, no matter the destination. There’s a lot of things in Davao that cannot be found in Manila, and this is something one has to experience personally. 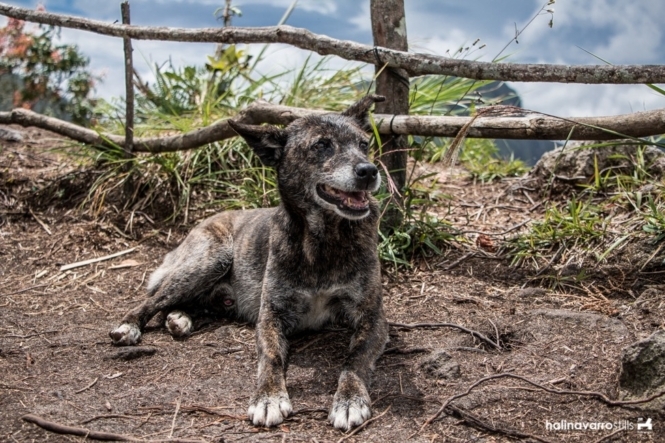 The dogs in Lake Holon are great companions especially if you’re a dog lover. 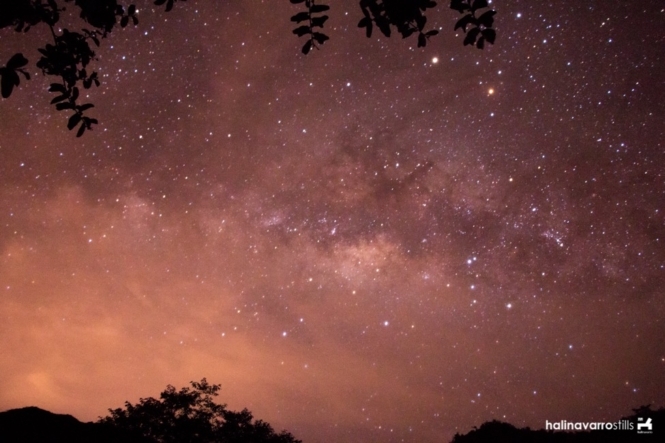 The early appearance of the Milky Way is one memorable thing I will be reminded of Lake Holon, besides the dogs. I almost forgot that we need proper accommodation, since we slept during long commutes to places we were off to. We skipped a few spots mainly due to budget concerns. It gave us a reason to come back. One thing that I would like to note is this: The normal cost of a habal-habal ride to Hinatuan River is P20 per head, for a 12-kilometer ride. However, drivers tend to give overpriced rates to unaware tourists, up to P1000 per person. 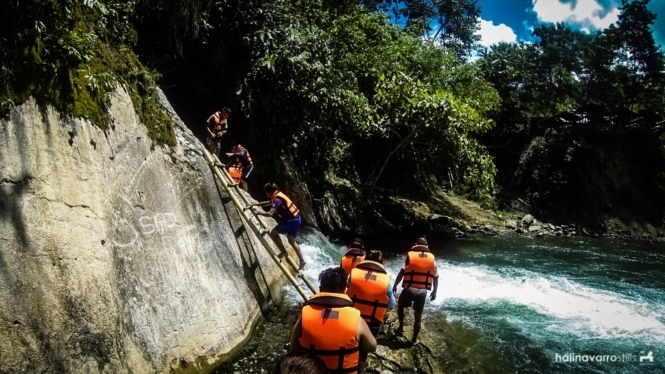 Kharl requested for the tourism officers in Hinatuan River to do something about this. There’s still a lot of places to see, and I’m looking forward to when Kat will be coming with me to these places sometime in the future. You always visit the most beautiful paces. Love to read abut it and see your photos. These are all wonderful activities and I really hope to visit one day. Loved to read about the dogs as well. Love dogs! And I would really like to Swim in the Hinatuan River. That looks so impressive. Hey good to see you had fun. Ang ganda ng Hagimit Falls. Parang ang sarap sarap mag swim diyan. Tapos I also like the cave. I have been to some pero bihira so my level of fascination is extremely high.